We're showing you a snow removal option that's as easy as a few swipes on your cell phone. If you’re sick of snow at the first sight, or just don’t want to bust out the winter clothing to clear your drive, don’t sweat it — there’s an app to the rescue. 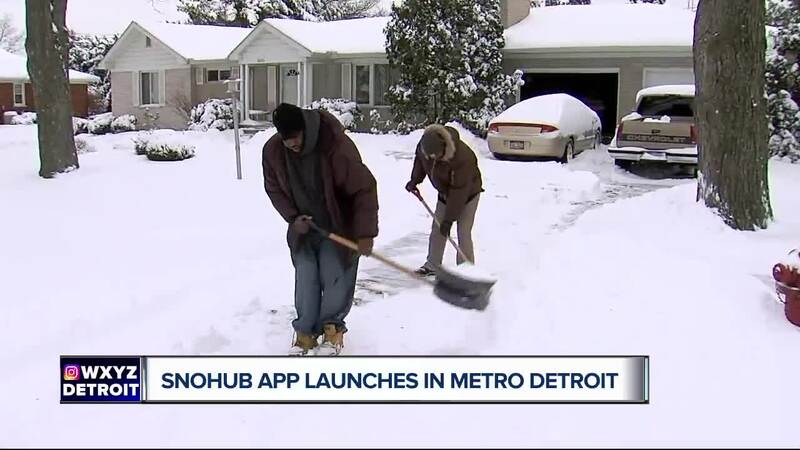 Snohub has rolled out services in metro Detroit. That means if you’d prefer to stay inside when the snow comes down, you can order a contractor to clear your driveway, sidewalk, or even salt with a few quick swipes on a cell phone. It also means you can sign up to make money through the same app if you’re the guy/gal more likely to shovel than pay someone else to do it. “As a homeowner, homeowners were the last end of the totem pole because a lot of the contractors would get their big jobs first,” said Snohub CEO James Albis, explaining why he decided to create an app to change the industry. With Snohub, you’re no longer at the bottom of the totem pole. Instead, you’re expected to get service within two hours of requesting service through the app. Snohub runs similar to ride-sharing apps: you can sign up to be a user or a contractor to perform that work. The app is free to download via Apple or the Google Play stores. You create a profile, put in payment information and you’re ready to go. Albis told 7 Action News that one of the best features is being able to order services quickly. If you’re not a regular user, you can pick up the phone and order snow removal if you’ve tweaked your back or if you’re stuck at work. 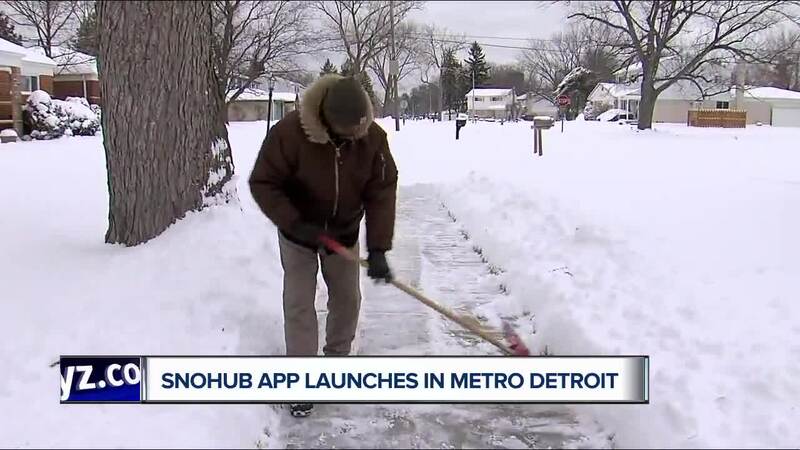 Some users, according to Albis, are using Snohub to pay for snow removal at a parent’s home. Since you don’t have to be at the address at the time contractors arrive, it makes it easier to buy services for someone else. The contractor is required to take before and after pictures so that the person using the app sees exactly what was done. The app is free, but the cost depends on the services you order. The estimated cost to clear snow in metro Detroit is expected to fall between $40 and $100. When you pull up the app you’re given a price list of the services you can select including things like driveway snow removal, sidewalk snow removal and salting a driveway. If you’re looking at Snohub to make money, the work is there. Snow removal services are an $8 billion business nationwide. The company’s CEO said a single snowstorm can help a part-time worker earn $500-$1,000. Those who plan to use Snohub to contract their own services can do so with ease. You simply sign up and list the equipment you’re working with and wait for assignments while working. Whether you’re working with a simple snow shovel, or a snow plow and salt spreaders, there are typically plenty of jobs to go around.